Looking for a different number? 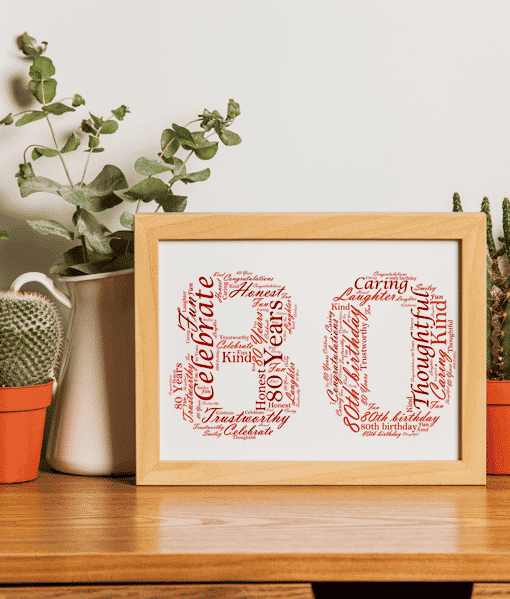 See more of our Number Word Art Prints. 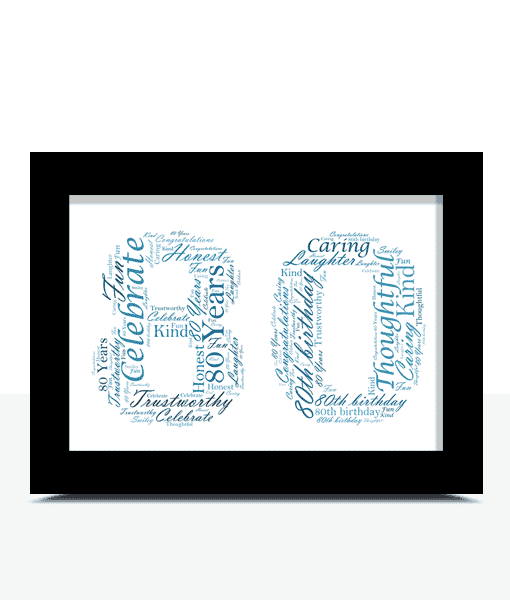 Add all your own words to this number 80 word art print. 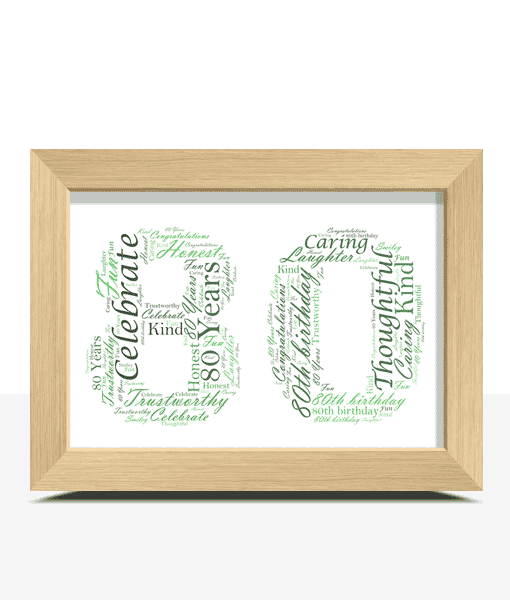 * Note – The rest of the words will then be randomised to create the shape of your word art. Someone from Glasgow & 1 other recently bought this item. Add your own words to this number 80 word art print, to create a very special personalised gift for someone’s 80th birthday. You get to choose all the words for your print. We highly recommend adding places, dates, names or venues which are meaningful to the person receiving the gift to make it extra special. A few ideas would be to add the place they were born, important dates, favorite places, friends or family names etc. 1. Select the size of your print. 2. Choose the frame you want. 3. Add the words you want included on your print. 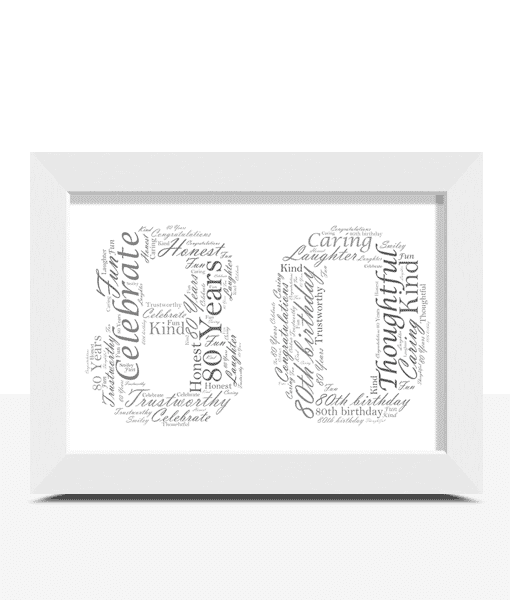 Enter 10 – 20 words that you would like included on your print. Example: Happy Birthday, 80 years, Celebration, Party Time, Great times, Champagne, Family, Fun, Birthday Party, Friends.